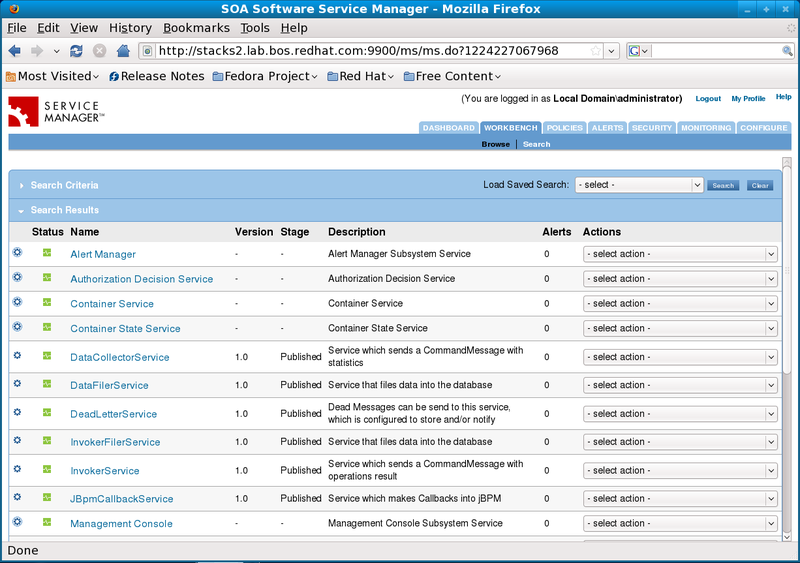 Instructions on how to use the SOA Software Service Manager as the UDDI Registry for JBossESB. 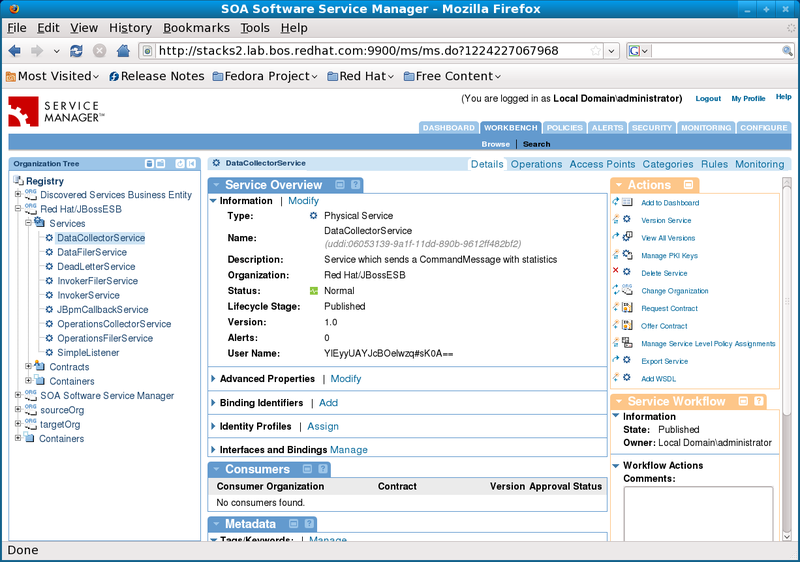 In order to communicate with the SOA Software registry, you will have to configure JBoss ESB to communicate with the SOA Software registry. 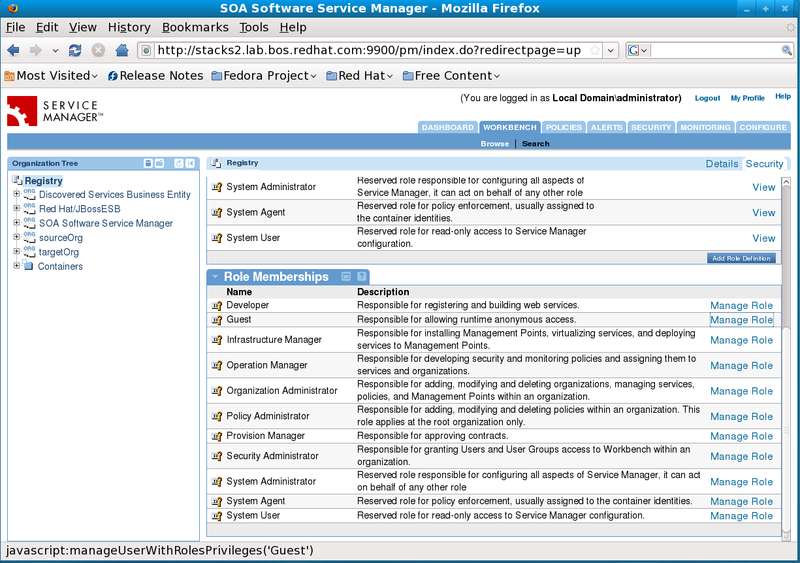 In order to do this, the first thing you need to do is to point the JBoss ESB towards the SOA Software registry. This text assumes you have a running JBoss Application/ESB Server, version 4.6.GA. 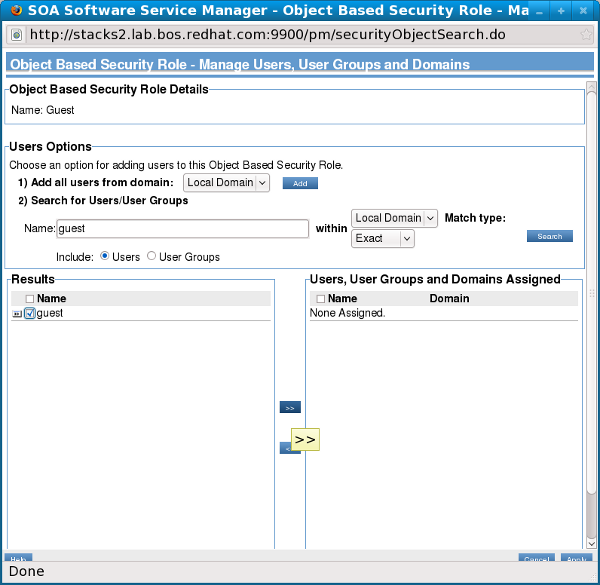 to match the SOA Workbench user and password you'll be using. Copy a recent version of Apache Axis and Apache Commons Discovery into server/<profile>/lib. The integration was tested using axis-1.4.jar and commons-discovery-0.2.jar. Download axis-bin-1_4.tar.gz from the Apache Axis site (http://ws.apache.org/axis/) to find these JARs. Change the Workflow so that ESB services are published upon creation. Click on the "Configure" tab and then select "Workflow". View the Workflow Definition, save it to your local disk, and then change the function type line under @create to <function type="publish" /> and the step attribute to "100". After saving, Update the Workflow to the local copy you have saved. Read product/docs/GettingStarted.pdf and follow the directions for running the Helloworld QS. You can manage your services through Workbench – as you notice in the left frame of the screenshot below, services register with the SOA Software Workbench. The "Search" option within Workbench allows the user to manage their services and shows the state, version, description, and number of alerts produced from those services. Initial conversion from OpenOffice ODT file.